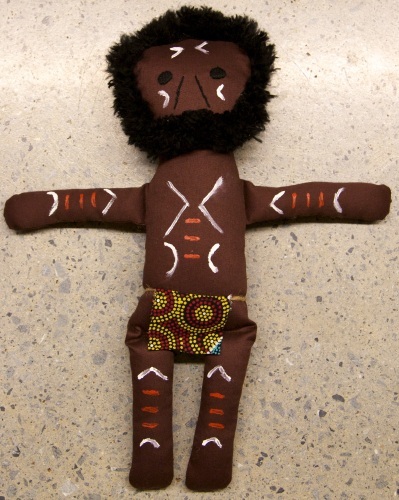 Warrior Doll -Handmade and handpainted in Australia. Soft fabric doll. 360mm high . 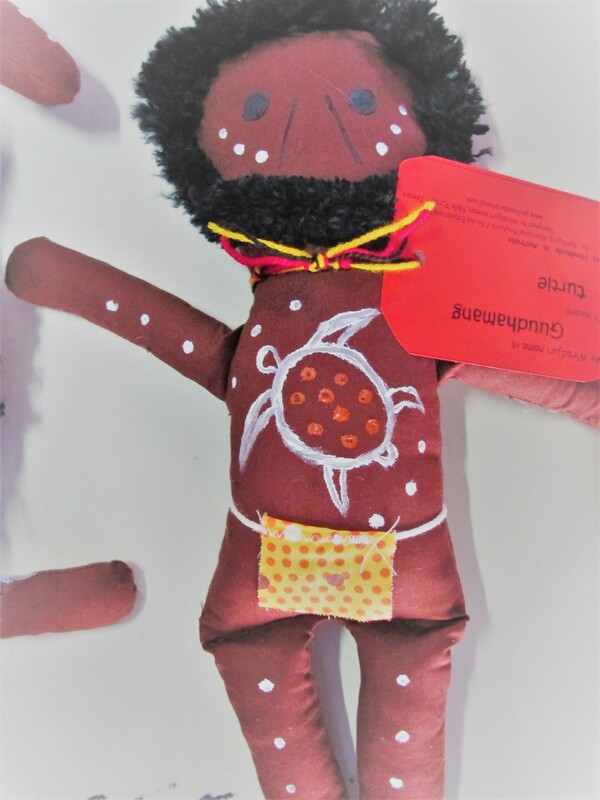 Supplied with Wiradjuri language name tag and English meaning. Face and body painting, and clothing, will vary as each doll is designed and made individually.